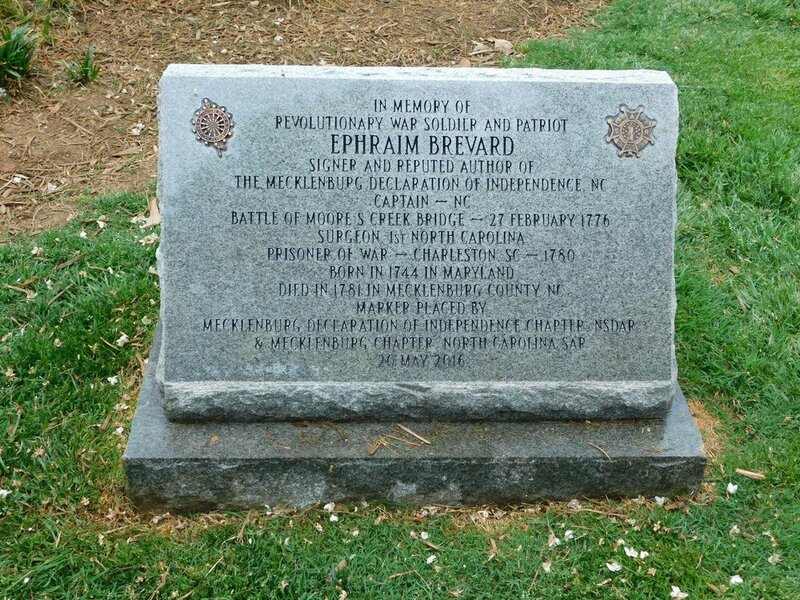 The precise location of Ephraim Brevard's buried remains in Mecklenburg County, North Carolina, is unknown. But this marker in the Old Settlers Cemetery, Charlotte, North Carolina is a tribute to the life and legacy of Dr. Brevard. Source: Documents Illustrative of the Formation of the Union of the American States (1927).